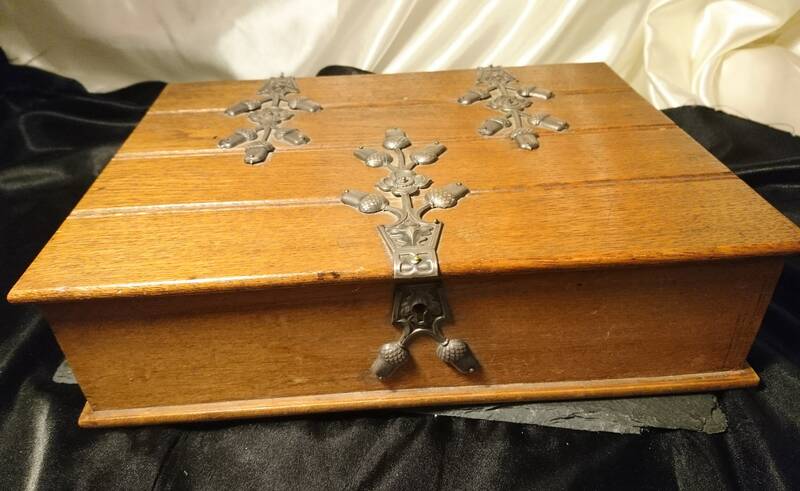 An attractive antique cigar box or humidor, this box is very well made and very decorative. 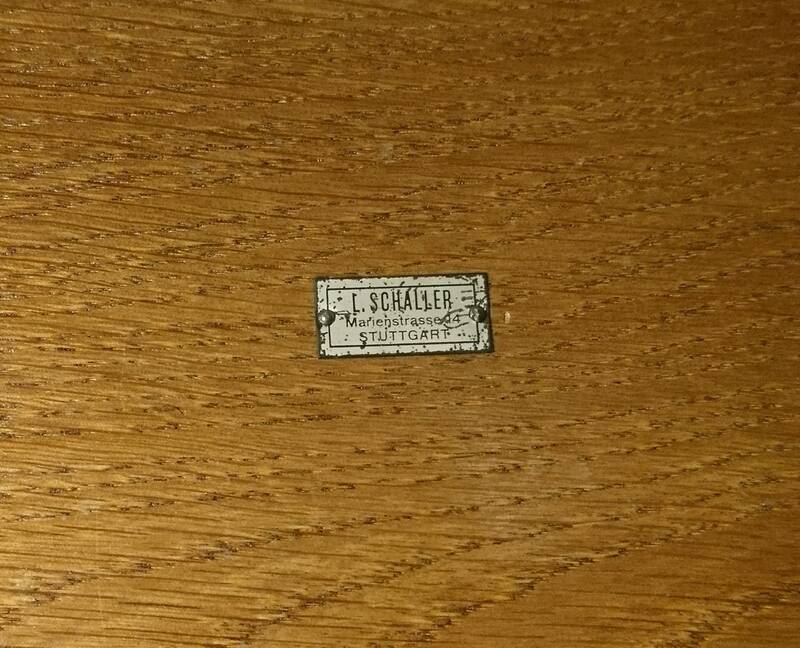 Made in Stuttgart, Germany by L Schaller, it has the original metal tag on the underside of the lid, c1915. 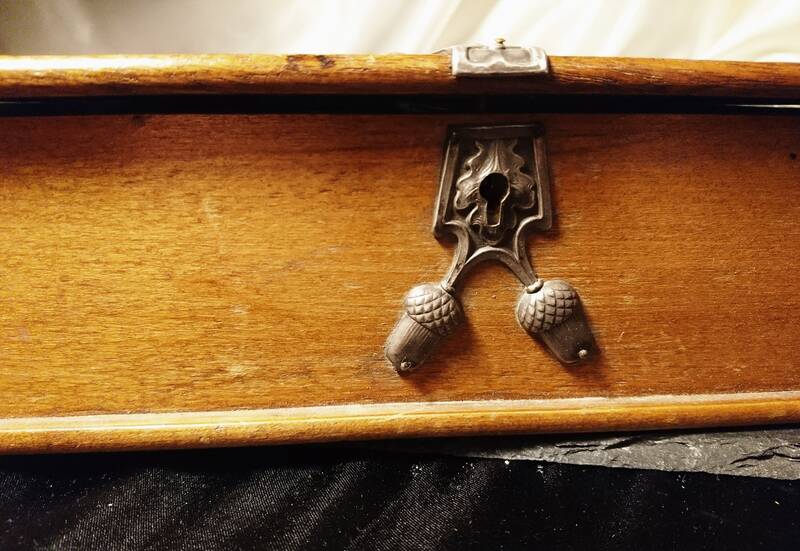 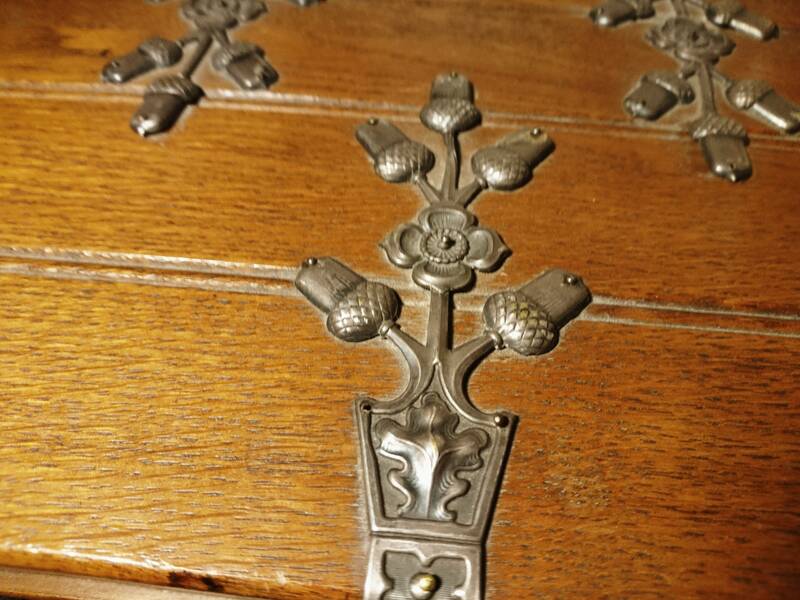 The box has a lock but no key, the lid does push closed, the lock and the top of the box is decorated with acorns and the tudor rose all in low relief in a pewter type metal. 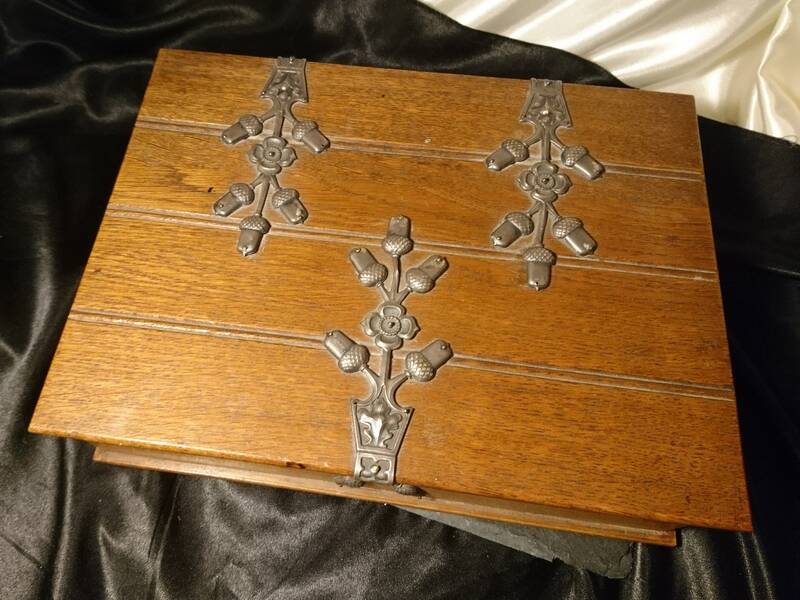 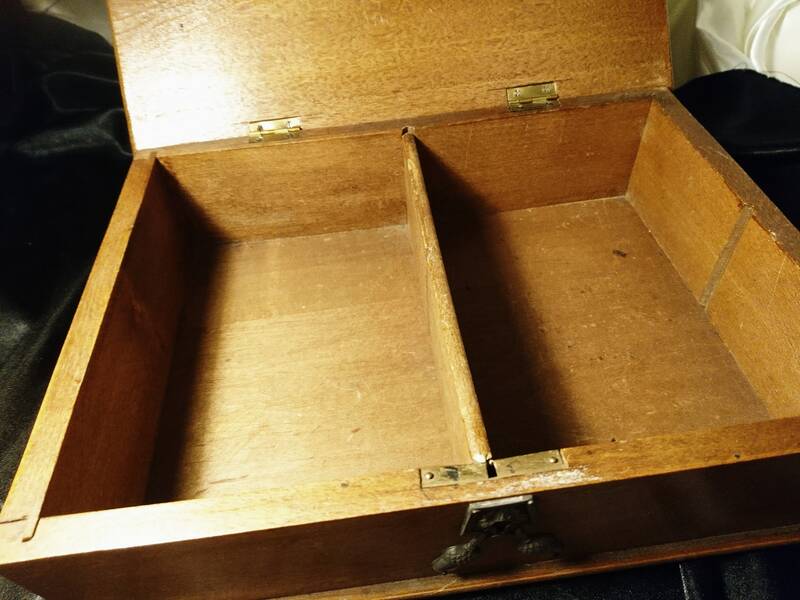 It is hinged at the back with brass hinges and has double compartments inside. 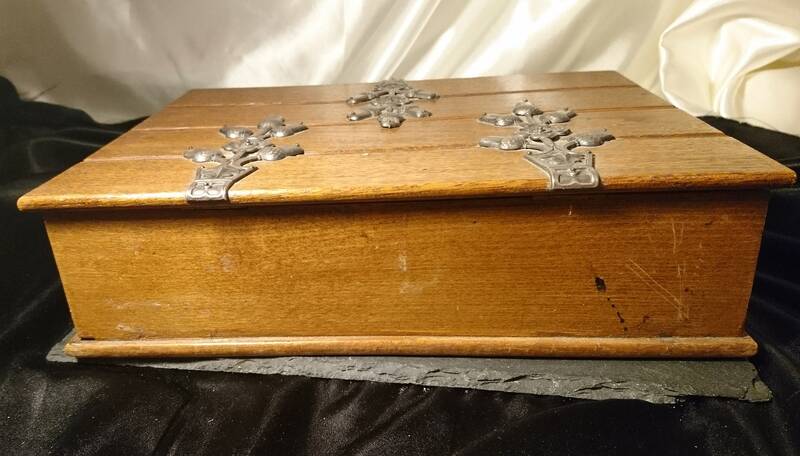 Good antique condition, minor wear, good for the age. 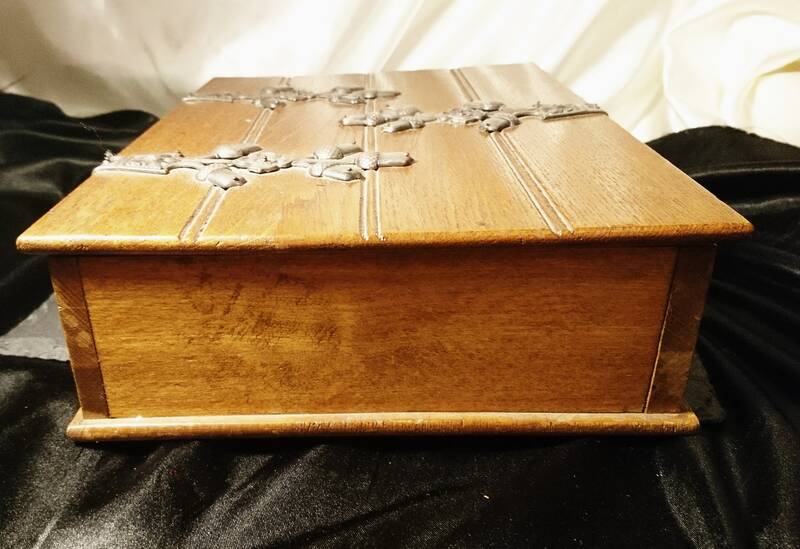 Approx 11" width, 8" length and 2.5" height.